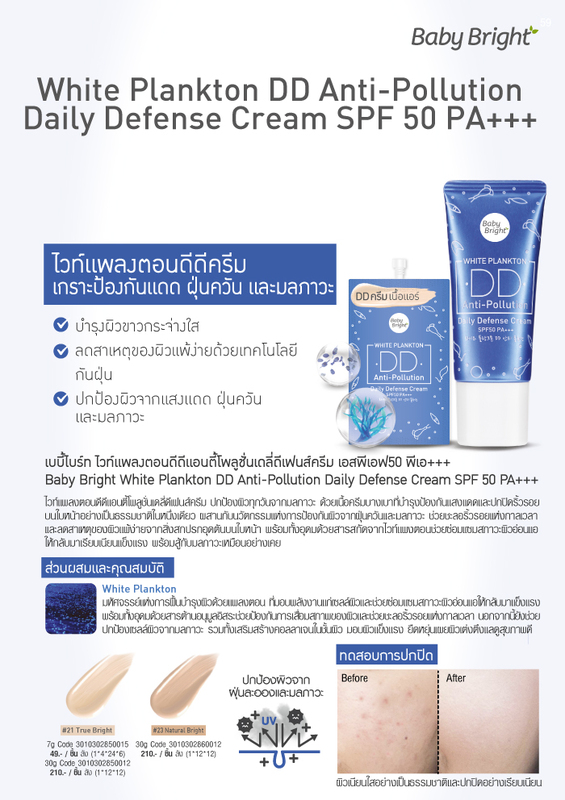 White Plankton, Good Anti-Spray Daily Defenses Cream Protect your skin every day from pollution. A lightweight, nourishing cream that protects the sun and conceals wrinkles on the face in a natural way. Combined with the innovation of skin protection from dust and pollution. Delayed aging of the time. And reduce the cause of sensitive skin from dirt on the face. It is rich in extracts of white expensive. Helps repair weakened skin to return to smooth. Fight with pollution as ever.